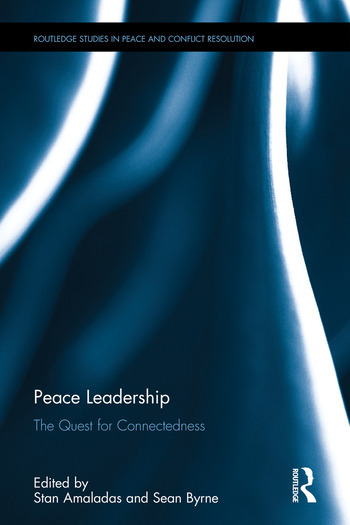 This book examines the concept of peace leadership, bringing together scholars and practitioners from both peace and conflict studies and leadership studies. The volume assesses the activities of six peace leaders, the place and role of women and youth in leading for peace, military peace leadership, Aboriginal peace leadership, and theoretical frameworks that focus on notions of ecosystems, traits, and critical care. It provides insights into how Peace Leaders work to transform inner and external blockages to peace, construct social spaces for the development of a culture of peace, and sustain peace efforts through deliberate educative strategies. Conceptually, the primary aim of this book is to obtain a better understanding of peace leadership. Practically, this book presents one means of influencing our community (communities) to face its problems for the sake of challenging and helping our readers to understand and make progress on all that stands in the way of peace (connectedness). The contributions to this volume are drawn together by the overarching aim of this volume, which addresses the following question: What are the concerns, dilemmas, challenges, and opportunities for those who choose to lead and take risks for peace? This book will be of much interest to students of peace studies, conflict resolution, leadership studies and IR in general. Stan Amaladas is Research Associate at the Arthur V. Mauro Centre for Peace and Justice at Manitoba University, Canada, and author of Intentional Leadership (Routledge, 2018). Sean Byrne is Professor of Peace and Conflict Studies and Director of the Arthur V. Mauro Centre for Peace and Justice at Manitoba University, Canada, and co-editor of the Handbook of Conflict Analysis and Resolution (Routledge, 2008).